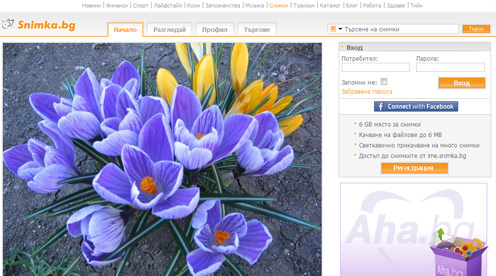 Site in which over 190 000 registered users store their experiences in the form of images in personal and public albums. Snimka.bg supports very fast upload - hundreds of photos per minute. Easy sharing - with application on Facebook, options for following friends, emailing and more.